This reminds me of a traditional flamenco dress, it’s so stately and elegant. I would love to see how it moves, that fabric looks heavy! It really does, thank you ! Indeed, there’s a dance feel in this sumptuously gorgeous outfit : the shoes remind me of ballet slippers ! Indeed ! 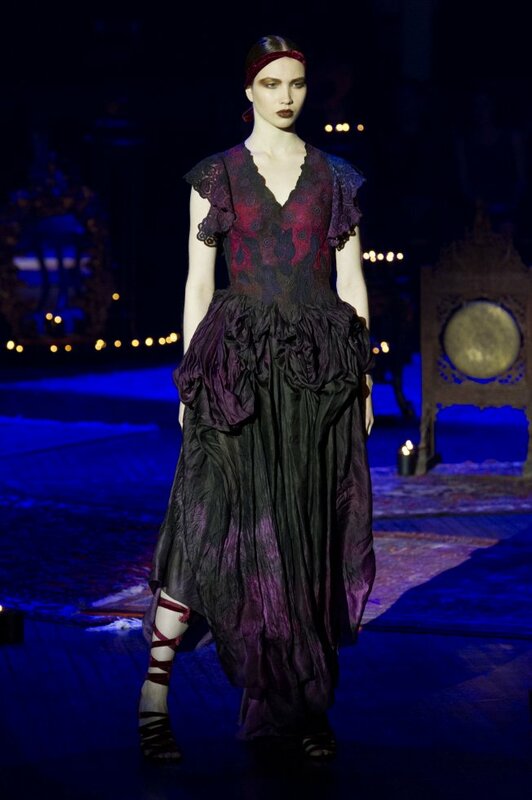 This dramatically gorgeous outfit perfectly fits the dark yet flamboyantly creative French 19-century poetry !